We specialize in helping International clientele who are buying and selling large luxury homes in Northern California. We specialize in selling luxury homes to International buyers. Woodside Real Estate is part of the only International real estate company in the world. Our agents help connect people from around the world with their dream home in beautiful scenic Northern California. If you are looking to relocate to Northern California, or if you are looking for a vacation home, we have the resources to help match you with the perfect home to suit your needs. We specialize in selling real estate in Silicon Valley, San Mateo County, Santa Clara Count, Woodside, Portola Valley, Atherton, Menlo Park, Palo Alto, Hillsborough, Los Altos, and Los Altos Hills. We love the communities we have the pleasure to work and live in and we know you will too. Know the current Woodside Market Trends. We keep up on current market trends and conditions for you. With over 40 years in the Northern California real estate business, we have the knowledge of the local real estate market and communities. We are committed to matching elite International clientèle with extraordinary properties in the vast beauty of Northern California. We have market insights to make your transition to your new home quick and efficient. 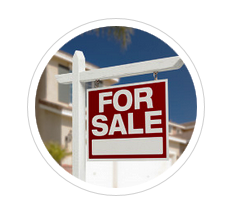 Woodside Real Estate makes the buying process less of a hassle by taking the weight off of you. After years of experience, happy clientele keep returning to us when they are looking to sell their home and move to a new one. When is a good time to buy a home in Woodside? Now is the perfect time to purchase a home. Prices are still low, but they are increasing quickly. Large luxury homes move very quickly in Northern California. If you see something you like on our website and want to find out more, do not hesitate to contact us. Large luxury homes are in high demand and often times are sold very quickly, within a couple days of being on the market. Do not miss an opportunity to purchase your dream home in Northern California before it is gone forever. Woodside Real Estate has been recognized for top dollar sale volume out of the entire SamCar Board of Realtors year after year. Trust the experts to handle the purchase of your luxury home in Northern California. Browse our website to find your new luxury home. Thank you for visiting Woodside Real Estate. We look forward to working with you. Find all available homes and properties in Woodside, Ca. I have found Cliff Keith to be very honest and hardworking at exceeding the needs of his SF Bay area home buyers and sellers. I know that were you to need a local SF Bay real estate professional, Cliff Keith would do his best to make sure you were more than satisfied and well taken care of. Cliff is great real estate agent that know the peninsula market very well. I would not hesitate to send any one to him for their real estate questions or needs. 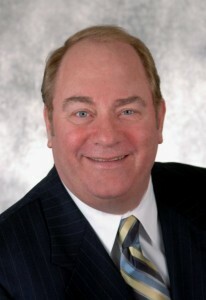 Cliff is an outstanding person to buy or sell a home for people. Cliff Keith is honest and really cares about his customers. His acute listening skills work so that he can fulfill people’s needs . Best of all Cliff has an amazing amount of understanding and compassion. He combines that with knowing the business of real estate inside and out . As well as keeping up on current market trends . A winner in every way and the only person I would call! Cliff comes with my highest recommendations. He is always looking for new ideas to assist his clients. I admire him for his creative work and his willingness to “give first”. 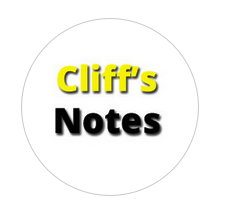 You would be doing yourself a favor to align yourself with Cliff as I have. Carl White National coach, speaker, and trainer. Good father too. Cliff is the agent I recommend in the Redwood City, California market. When one of my clients transfers to his area he is who I highly recommend. I like to meet with you to discuss marketing your Woodside property. I can also help you with a comparative market analysis of your Woodside real estate. Welcome to Woodside Real Estate! 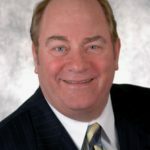 My name is Cliff Keith, and I have been a licensed real estate Broker in the State of California since 1976. During my tenure as a Realtor, I have been a member in good standing in both the State and Federal Organizations for Realtors, (CAR & NAR). Over the past 39 years I have also been a member of the local Boards of Realtors who are now known as SamCar and SILVAR. I have chaired several committees and been a member on several others committees. I have awards along with certificates of appreciations and the prestigious “Golden Rule” Award, which is given by my peers for work I have participated in for personal local Realtors and the Board of Realtors.